Baton Rouge, LA – More than 200 students from East Baton Rouge Parish and surrounding areas will join approximately a 100,000 youth across the world in leading the 9th annual 4-H National Youth Science Day (4-H NYSD) challenge. This year’s challenge, called Drone Discovery, introduces youth to the burgeoning field of drones in a hands-on, interactive design challenge. The Drone Discovery challenge will be held on October 5, 2016 at 9:30 a.m. in the Cotillion Ballroom of the Smith-Brown Student Union on the Southern University Baton Rouge campus. The challenge will teach youth a wide variety of topics related to unmanned flight including flight dynamics, aircraft types, safety and regulations, remote sensing and flight control. Designed by Cornell University Cooperative Extension, the hands-on, three part engineering design challenge will allow students to experiment with fixed and rotary wing designs, explore the concept of remote sensing and dive into the world of coding for real-world drone applications. The event will feature a drone demonstration, performances by the Scotlandville Pre-Engineering Magnet Academy’s Choir and the J.K. Haynes Drama Department. Students will also have an opportunity to visit several interactive display stations. Comedian and radio personality Howard Hall will serve as host of the event. Hall is an on-air personality for Max 94.1 FM. He has been a stand-up comedian for 10 years and has performed on Jamie Foxx’s Laffapalooza and was one of the featured comedians for the 2013 Tom Joyner Foundation Fantastic Voyage Cruise. 4-H NYSD is the world’s largest youth-led engineering design challenge, drawing nearly 100,000 participants in 2015. This year’s event will involve students in all 50 states and countries around the world. The National 4-H Council will host a flagship national event, with hundreds of students participating in the challenge on October 5 in Washington, D.C. The 2016 4-H NYSD national partners are HughesNet®, Lockheed Martin and U.S. Cellular. DJI, the world’s largest maker of consumer drones, is the national sponsor. For additional information, contact at Dr. Tiffany W. Franklin at, 225.771.2242. Baton Rouge, La. 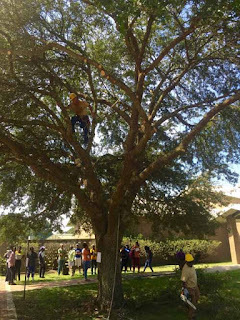 - The Southern University Urban Forestry and Natural Resources Department conducted a tree pruning demonstration in collaboration with the LSU Licensed Arborists. SU graduate Kevin Drye, who is now a professional licensed Arborist and Urban Forester, provided up to date scientific information about pruning and Arboricultural requirements. Urban forestry students observed the pruning demonstration to prepare for a two-day hands-on practice scheduled for October. 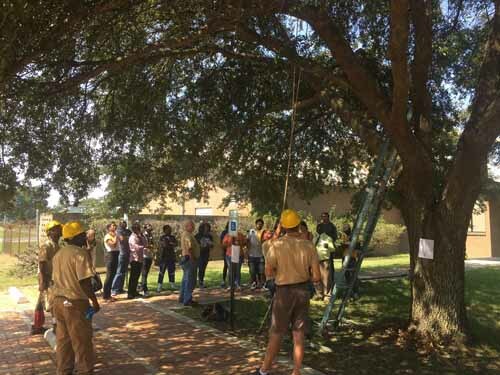 The Urban Forestry Department faculty and Dr. Fred Fellner, a graduate of SU Urban Forestry currently Assistant Director of landscape at LSU coordinated the collaborative effort. Pruning for health, involves removing diseased or insect-infested wood, thinning the crown to increase airflow and reduce some pest problems, and removing crossing and rubbing branches. Pruning can best be used to encourage trees to develop a strong structure and reduce the likelihood of damage during severe weather. Removing broken or damaged limbs encourages wound closure. Pruning for aesthetics involves enhancing the natural form and character of trees or stimulating flower production. Pruning for form can be especially important for open-grown trees that do very little self-pruning. Baton Rouge, La. - Agriculture Secretary Tom Vilsack has announced $8.4 million in grants that will be used by organizations in 24 states to provide training, outreach and technical assistance for socially disadvantaged, tribal and veteran farmers and ranchers. "USDA was created to be 'The People's Department,' and in the past eight years we have made tremendous progress in correcting past mistakes and creating a more inclusive culture within our organization. Part of that legacy includes supporting farmers and ranchers with diverse backgrounds and experience levels," said Vilsack. "The grants announced today will be leveraged by local partners and help bring traditionally underserved people into farming, as well as veterans who want to return home to rural areas." Louisiana is listed among the states benefiting from the funding. Southern University Agricultural and Mechanical College, Louisiana; also serving Alabama, Arkansas, Georgia, Kentucky, Mississippi, North Carolina, South Carolina, Tennessee, Texas, Virginia, and West Virginia, $199,999. These grants are provided through USDA's Outreach and Assistance for Socially Disadvantaged and Veteran Farmers and Ranchers Program, also known as the 2501 Program and administered by USDA's Office of Advocacy and Outreach (OAO). Since 2010, more than $83.8 million has been invested through the 2501 Program to leverage the work of local partners. The 2014 Farm Bill reauthorized the program and expanded the program mandate to include military Veterans. SU Ag Center's Dr. Renita W. Marshall, DVM, Associate Professor of Animal Science, exams a dog during the Sept. 12th Disaster Relief Wellness Clinic for Cats and Dogs. Baton Rouge, LA – A video on the SU Ag Center’s 2016 Disaster Relief Wellness Clinic for Cats and Dogs is available on the Center’s YouTube Channel at https://goo.gl/pwbTcX. The clinic, which was held on Sept. 12, provided more than 300 cats and dogs with free physical exams, as well as, annual and rabies vaccinations. The animals also received heartworm, flea and tick prevention medication, nail clipping and food samples. Nearly 200 of the animals also received a free microchip implant that will assist owners in locating their pets if they are lost or separated from them during another natural disaster. For additional information, contact Dr. Renita W. Marshall, DVM, Associate Professor of Animal Science and Veterinarian at 225-771-2242. Rev. Craig Gregory encourages students to stand on the stage during the 2016 Back-to-School Summit on Sept. 15 at the Cade Community Center in St. Martinville, La. Rev. Gregory served as the keynote speaker for the Summit. Baton Rouge, LA – Almost 500 8th grade students from St. Martin Parish schools attended the Southwest Center for Rural Initiatives’ annual Back-to-School Summit on Sept. 15 at the Cade Community Center in St. Martinville, La. The summit, which was themed, “Go for the Gold! Everyone can be a Champion,” was held to encourage the students to make better life choices, build character, think before becoming sexually active and abstain from drug use. 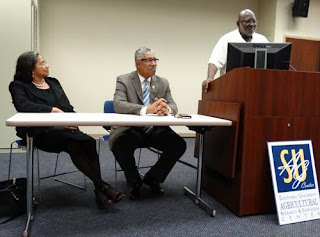 Phills went on to explain that agriculture touches every part of life and encouraged the students to attend college and study agriculture; even if they did not go to Southern University. The students were also greeted by St. Martin Parish President Guy Cormier and St. Martin Parish Superintendent Lottie Beebe, Ph.D.
Shonda Garner Brooks, Loren Carriere and Min. Darren Benoit served as presenters for the summit. Each shared their personal stories of how they made the wrong choices in life at an early age but through the help of God, family and friends they were able to get their lives back on track. SU Ag Center's Research Associate for Animal Science Antonio Harris provided the students with information on how to apply for college. Rev. Craig Gregory, Pastor of Mt. Calvary Baptist Church and public servant, was the keynote speaker for the event. Gregory told the students that each of them was born for a purpose and emphasized the importance of them fulfilling that purpose. “The summit taught me that our younger siblings see what we are doing and we have to be an example for them,” said St. Martinville Jr. High student Querrea Savoy. “Knowing that I have six other siblings I have to be an example for them,” she added. Savoy also said she enjoyed the obstacle course and learned that everybody can be a champion. Model and small business owner Morgan Pete served as the hostess for the event and provided one of the students with a free photo shoot and modeling lessons. The Southwest Center for Rural Initiatives is a satellite campus of the Southern University Ag Center. Television stations KLAF/Fox 15, KATC 3 and KWBJ TV 22 aired stories on the event. The videos can be viewed at: https://goo.gl/G0hkqr and https://goo.gl/5VP0mb. 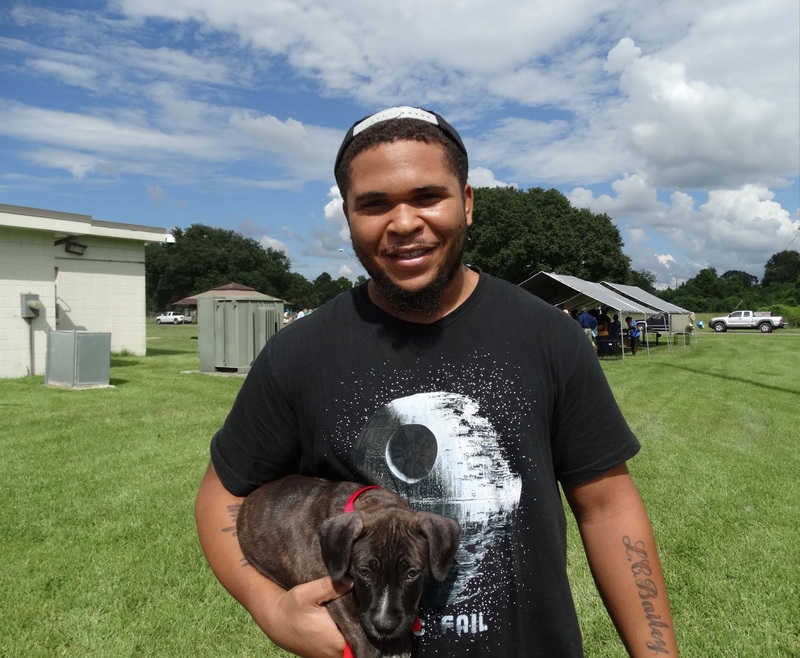 David Bailey said he heard about the Disaster Relief Wellness Clinic for Dogs and Cats on the news and brought his dog Achillies to the event to be vaccinated and receive a microchip implant. SU animal science student Jennifer Brown vaccinates a dog while professor Gary Simon, DVM, and research scientist Janana Snowden, Ph.D, hold the animal during the SU Ag Center's Sept. 12 Disaster Relief Wellness Clinic for Dogs and Cats. Baton Rouge, LA – More than 300 cats and dogs received free physical exams, as well as, annual and rabies vaccines during the Southern University Ag Center’s Disaster Relief Wellness Clinic for Dogs and Cats on Sept. 12. While the majority of the initial relief from the August flood was focused on providing the basic necessities to human flood victims, many of our four legged family members also suffered from the after effects of the disaster. “When an unfortunate event occurs, such as a disaster, there is an abundance of emotional and physical stress to all involved including animals,” said Renita Marshall, DVM, and associate professor at the SU Ag Center. Marshall and Tyra Davis Brown, DVM, an SU Alumnus and Veterinarian, came up with the idea to provide a wellness clinic for pets to fill an often over looked need within the Baton Rouge community and surrounding areas. “As a veterinarian, you take an oath to use scientific knowledge and skills for the benefit of society through the protection of animal health and welfare, the prevention and relief of animal suffering, the conservation of animal resources, the promotion of public health, and the advancement of medical knowledge. That is exactly what Dr. Brown and I set out to do with the disaster wellness clinic,” added Marshall. In addition to the vaccinations and exams, the animals were also provided with heartworm, flea and tick prevention medication, nail clipping and food samples. Nearly 200 of the animals also received a free microchip implant that will assist owners in locating their pets if they are lost or separated from them during another natural disaster. Event partaker David Bailey, who brought his dog Achillies, expressed appreciation for the clinic stating that he first heard about it on the news and followed up with a visit to the SU Ag Center website for full details. Another beneficiary from the event was Charles Herndon who reported that the flood had impacted their finances and he was happy to get assistance for his four dogs, which he has rescued over the years. “The SU Ag Center, being a pillar in many communities around Baton Rouge and the surrounding areas, is poised to strategically implement programs and events to assist where and when it is needed the most,” said Marshall. SU Baton Rouge campus professor Gary Simon, DVM, several animal science students from Southern University’s College of Agriculture and several SU Ag Center staff members assisted in the event. Acadia; Evangeline; Lafayette; St. Martin; Ascension; Iberia; St. James; Vermilion; Cameron; Jefferson Davis; and St. Landry. Farmers and ranchers in Jefferson and Orange counties in Texas also qualify for natural disaster assistance because their counties are contiguous. All parishes and counties listed above are designated natural disaster areas effective Sept. 22, 2016, making all qualified farm operators in the designated areas eligible for low interest emergency (EM) loans from USDA’s Farm Service Agency (FSA), provided eligibility requirements are met. Farmers in eligible parishes and counties have eight months from the date of the declaration to apply for loans to help cover part of their actual losses. FSA will consider each loan application on its own merits, taking into account the extent of losses, security available and repayment ability. FSA has a variety of programs, in addition to the EM loan program, to help eligible farmers recover from adversity. Other FSA programs that can provide assistance, but do not require a disaster declaration, include the Emergency Conservation Program; Livestock Forage Disaster Program; Livestock Indemnity Program; Emergency Assistance for Livestock, Honeybees, and Farm-Raised Fish Program; and the Tree Assistance Program. Interested farmers may contact their local USDA Service Centers for further information on eligibility requirements and application procedures for these and other programs. Additional information is also available online at http://disaster.fsa.usda.gov. If you have questions about USDA activities, please visit our Ask the Expert page. This feature is designed to assist you in obtaining the information you are seeking. Baton Rouge, La. 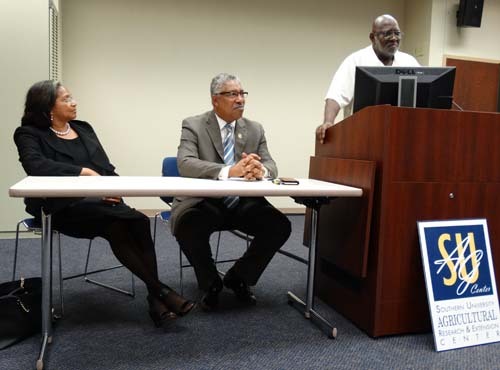 – Southern University Ag Center and College of Agriculture faculty and staff are aligned with the land-grant mission, consistent with the university's tripartite mission of teaching, research, and public service. Faculty and staff are committed to recruiting, teaching and mentoring students in the agricultural and food sciences. The academic arm of the new Land-grant Campus prepares students for professional careers in food, fiber, natural resources, family and consumer sciences, and agricultural sciences using innovative strategies, state-of-the-art technologies, and current information. The overarching mission of the Land-grant Campus is to improve the well-being of individuals, families, and communities through quality teaching and research; scholarly activity that is relevant to the needs of the state's citizenry; and pre-eminent outreach techniques locally, nationally, and globally. The new Land-Grant Campus encompasses the Southern University Ag Center and College of Agriculture at Southern University and A&M College. 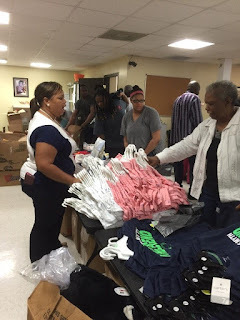 SU Ag Center Nutrition Educator Kiyana Kelly, standing on the right, distributes toys and clothing to East Baton Rouge Parish residence at the Martin Luther King, Jr. Community Center. East Baton Rouge Parish Extension Office Chair Marquetta Anderson, standing on left, distributes supplies and clothing to flood victims. Baton Rouge, LA – On August 13, 2016 prolonged rainfall in the southern region of Louisiana resulted in catastrophic flooding that submerged thousands of homes and businesses. According to the Baton Rouge Area Chamber, roughly 110,000 (31%) homes in East Baton Rouge (EBR) Parish were affected. SU Ag Center’s Families First – Nutrition Education and Wellness System (FF-NEWS) Nutrition Educators Marquetta Anderson and Kiyana Kelly, along with Family and Human Development Parent Educator, Jasmine Thomas, went out into the community to assist local social services sites where they regularly provide educational programming. 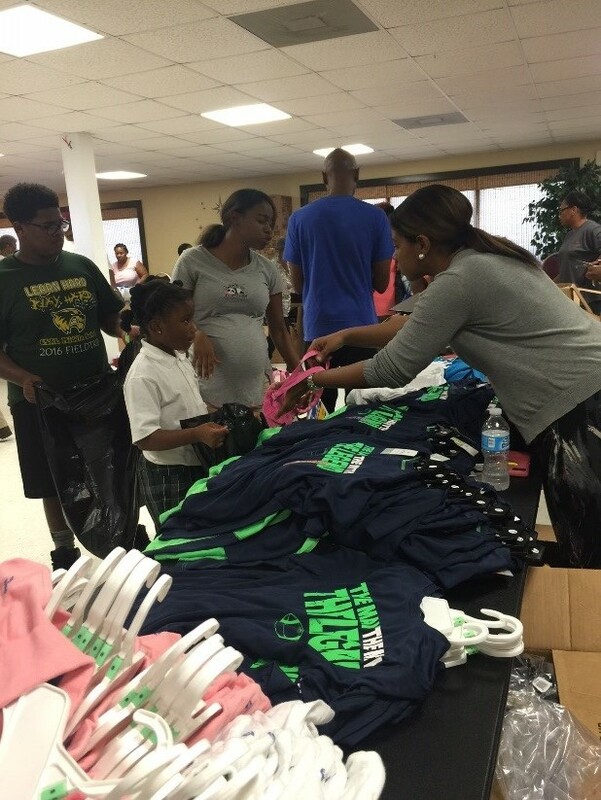 On Thursday, August 25, 2016 the SU Ag Center staff distributed supplies to over 300 EBR residents at the Martin Luther King, Jr. Community Center. The Convoy of Care from Atlanta, Ga. sent six tractor trailers of supplies to assist the residents affected. The convoy was organized by the National Organization of Black Law Enforcement Executives (N.O.B.L.E). Additionally, on August 26, 2016, SU Ag Center staff volunteered at the Jewel J. Newman Community Center and distributed supplies to residents in need. Dr. Janana Snowden was the recipient of the international 2016 Carl Storm Underrepresented Minority (CSURM) Fellowship. Baton Rouge, LA – Dr. Janana Snowden, Research Scientist at the Southern University Ag Center, was a 2016 recipient of the Carl Storm Underrepresented Minority (CSURM) Fellowship; making her the only African American selected from 188 participants, internationally. The award allowed Snowden to attend and present at the annual Gordon Research Conference for Natural Products and Bioactive Compounds. The conference, which focused on exploring the therapeutic potential of natural products and biologically active compounds through emerging chemical and biological technologies, was held July 31- August 5, 2016 at Proctor Academy in Andover, New Hampshire. Snowden presented on the, “Antimicrobial Efficacy of Roselle Hibiscus Extracts against Escherichia coli.” Roselle (Hibiscus Sabdariffa L.) is a niche market crop that has been studied for over a decade at the Southern University Ag Center. Her research focuses on the medicinal benefits of natural compounds found in plants/crops and their potential to treat various diseases and disorders such as cancer and high blood pressure. For more information, contact Dr. Janana Snowden at 225-771-2242 or visit www.suagcenter.com. Tiffany Franklin, Ph.D., hands information to attendees during a Sept. 1 focus group meeting in the town hall of Waterproof, La. 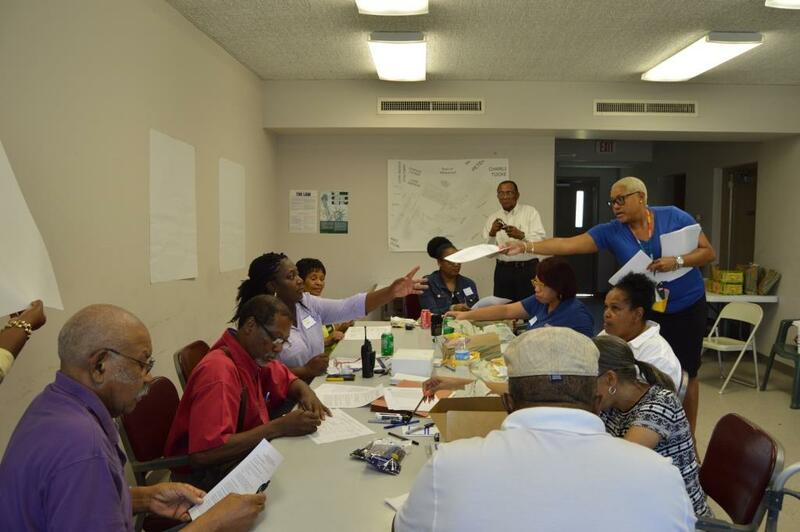 Baton Rouge, LA – Extension and research professionals from the Southern University Agricultural Research and Extension Center (SU Ag Center) hosted a focus group with the concerned citizens of Waterproof, La. on September 1, 2016, in the cities town hall. The Town of Waterproof was selected for the project because of its dire need for additional resources to revive its housing, education, employment, and community engagement. The town is located in Tensas parish, along the Mississippi River. The parish is also home for some historic sites, which include Winter Quarters in Newellton, La. and Lake Bruin State Park in St. Joseph, La. 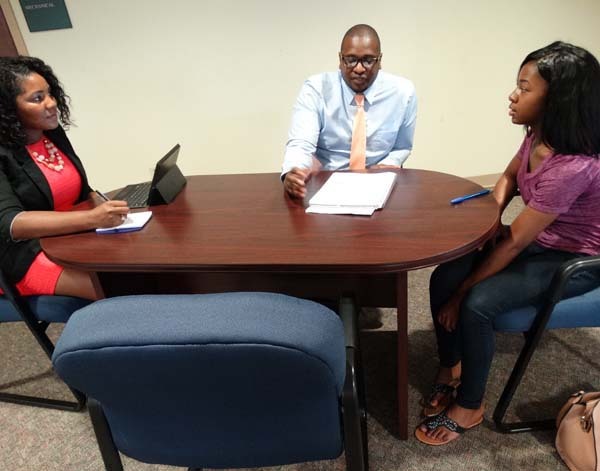 The meeting was facilitated by SU Ag Center’s Ben Lukongo, Ph.D., the Project’s Director, with assistance from Co-Project Directors Kenyetta Nelson-Smith, Ph.D. and Tiffany Franklin, Ph.D., who is also a native of Waterproof. Eual Hall, Business Development Specialist at the SU Ag’s Center for Rural and Small Business Development, also provided valuable handouts to attendees that will assist them with small business development. “Our team is excited to obtain ideas from you, listen to your stories and experiences, take into consideration your input, discuss and co-create the future vision of your community, collaborate to improve your community, identify issues that need more research and actions, and discuss alternative solutions, realistic plans, resources, and assets needed to better your community,” said Lukongo during the meeting. The group, which included the town’s Mayor Caldwell Flood; Chief of Police Valerie Clark; Alderwoman Veronica Stacker and retired educator Mary Frances Earl, was eager to share their personal experiences about living in Waterproof and how they can make improvements that will bring attention to the town and attract tourist. Alderwoman Stacker noted that this will require assistance from outside entities such as local, state, and federal agencies. As an incentive for attending, eligible participants will receive a $25 gift card. Lukongo will review the focus group responses and provide a detailed report of the findings. This project provides an excellent opportunity for citizens in rural areas across the state to share their vision of restoration for their small communities that once thrived with a larger population and business owners. For more information on how to get your community involved with this study, contact Ben Lukongo at 225-771-5385, Kenyetta Nelson-Smith at 225-771-5598 or Tiffany Wilkerson-Franklin at 225-771-2775. Baton Rouge, La. - Southern University System President-Chancellor Dr. Ray Belton officially introduced the newly appointed Dr. Bobby R. Phills as Ag Center Chancellor/College of Agriculture Dean on September 6, 2016. Dr. Phills, who assumed duty on September 1, was presented to the faculty, staff and students of the SU Agricultural Research and Extension Center and College of Agriculture. Also in attendance to welcome Dr. Phills and address the audience was SU Board member and Chair of the Academic Committee Hon. Ann A. Smith. The extension field staff in more than 33 Louisiana parishes attended the event via remote access. Earlier in the day, Dr. Phills toured the facilities of the SU Agricultural Research and Extension Center and College of Agriculture and met with faculty, staff and students. During his speech, Dr. Phills emphasized the importance of team work. “I need your help, you need my help, and we need to work as a team if we must succeed,” said Dr. Phills. 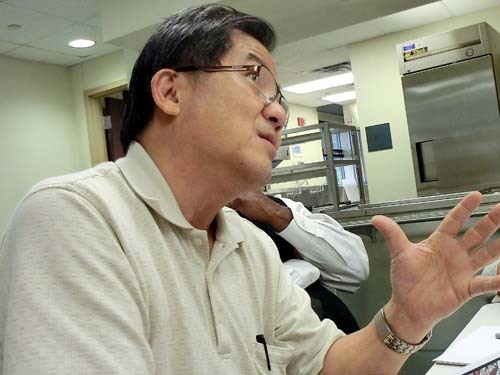 Mr. Paul Lai, owner and proprietor of CePaul Mushroom Nursery in Malaysia will give a seminar on "Specialty Mushroom Production Potential for Small Farm Farmers in Louisiana" at the Southern University Ag Center, Room 138 on Friday, September 2 at 11:00 am. Mr. Paul Lai has more than 30 years of experience in mushroom cultivation, teaching and training. He is a collaborator and consultant for the SU Ag Center’s Specialty Mushroom Project funded by USDA/NIFA. He will emphasize sustainable production methods in his presentation. Dr. Kit Chin, professor of Plant Science, serves as project director of the Specialty Mushroom Project, and can be reached at (225) 771-0068 or via email at kit_chin@suagcenter.com.